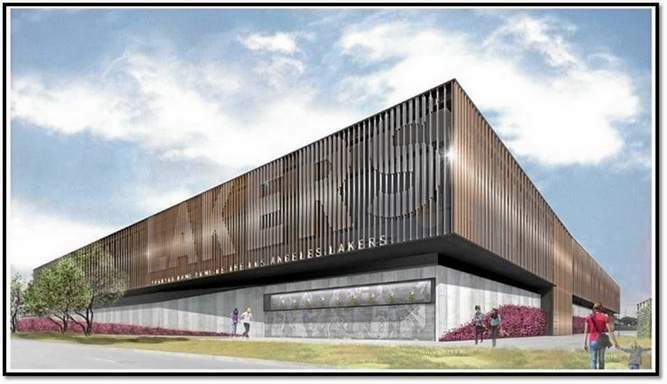 Artist’s rendtion of the new Los Angeles Lakers practice facility in El Segundo. The Lakers completed the purchase of a five-acre property worth $80 million in El Segundo that will serve as the team’s independently -owned next practice facility. The property is located at the northwest corner of Mariposa Avenue and Douglas Street and is expected to be completed by the spring of 2017. The Lakers currently practice at Toyota Sports Center, shared with the NHL’s Kings and a skating rink often open to the general public. That’s usually what happens when you attend one of the country’s most prestigious schools. Hence, Brown sounded fully aware of what his strengths could become in the NBA after finishing his last two seasons with the Cardinal shooting at least 44.1 percent from three-point range. The scar left an imprint on his left pinkie finger, a visible reminder of the fracture Virginia junior forward Justin Anderson nursed that left him sidelined for eight games last season. But Anderson said it no longer feels swollen, the increased mobility and decreased pain he experienced in the last month has allowed him both to palm the ball and play physically. After Anderson worked out with the Lakers on Thursday in what marked his third pre-draft training session thus far, he believes those qualities will ensure he fully adapts to the NBA. He may have changed his name to Metta World Peace. But he still shows flashes of Ron Artest. The former Lakers forward was ejected in a playoff game on Thursday with Italy’s Serie A Club Pallacanestro Cantu in its eventual 88-73 loss to Reyer Venezia Mestre. World Peace may sport, “The Pandas’s Friend,” as his name on the back of his jersey. But it hardly looked like he was making any friends when he was involved in an on-court scuffle after exchanging words over a foul. That coincided with World Peace somehow picking up one of his five fouls within a one-minute span. World Peace will also serve a two-game suspension should he play in Italy next season. The Lakers received an early glimpse of their future on Thursday for reasons besides hosting their second round of draft workouts. Lakers rookie forward Julius Randle also participated in a series of full-contact, half-court 2-on-2 and 3-on-3 drills, marking the latest progress he has made since fracturing his right tibia in the season opener of the 2014-15 season. The Lakers plan to have Randle complete those drills for at least a week before the team’s medical staff determines if he can advance to 4-on-4 drills. The Lakers have held out hope that Randle could heal completely enough to play on the team’s Las Vegas summer league team in July. But the Lakers will not have Randle play unless he completely recovers to ensure that he arrives to training camp in late September fully healthy. The current weaknesses Kobe Bryant may not just involve whether he can stay healthy after having three season-ending injuries in consecutive years. Milwaukee Bucks forward Jared Dudley also argued that “most guys don’t want to play with Kobe” because of his high-volume shooting. His first NBA season has passed, leaving Lakers rookie Jordan Clarkson with plenty that he feels he needs to prove. That being named on the NBA All-Rookie first team had more to do with his talent than just receiving extended minutes on a struggling team. That he can become a starting point guard on a healthier and more depthful roster. That he can become the kind of vocal leader and playmaker that Lakers coach Byron Scott and general manager Mitch Kupchak has asked him to become. Yet, Clarkson has already left some legacy in his short NBA career, no matter how small. After the Lakers secured him last year with the 46th draft that they bought from the Washington Wizards, Clarkson has represented hope for any second-round draft prospect determined to make it in the NBA. His workouts gave Dez Wells an early crash course on something besides gauging if he can thrive in the NBA. The Maryland senior guard also received his first history lesson on the NBA’s biggest rivalry, his workouts first starting with the Boston Celtics and then the Lakers. There have been exceptions, the most notable ones including Bill Sharman, Rick Fox and Brian Shaw. But rarely will you find anyone willingly becoming members of either team. Yet, Wells does not have much of a choice, most mock drafts projecting him as a second-round pick. The phone presumably has stayed glued to his ear, Lakers general manager Mitch Kupchak furiously tracking down various agents to set up draft workouts through the next few weeks that could entail seeing up to 80 prospects. But amid all those phone conversations in the past week, Kupchak said he has not heard anything enticing that would convince him to trade the Lakers’ No. 2 pick of the 2015 NBA draft. 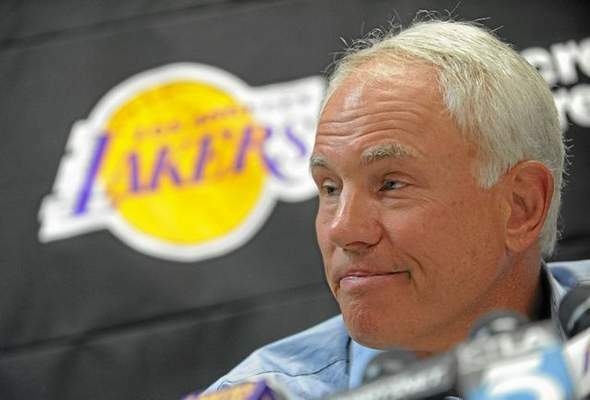 What would it take for Kupchak to suddenly find an offer too good to pass up? And yet, Kupchak suggested that still might not be enough. 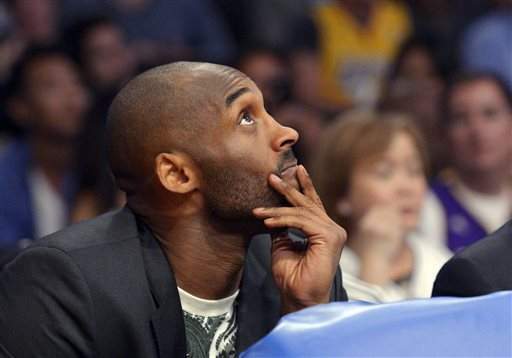 So many unanswered questions surround Kobe Bryant, and whether he can both return and stay healthy for the 2015-16 campaign after suffering three season-ending injuries in consecutive seasons. But Bryant apparently has answered one other looming question. It involves his future, and whether the 2015-16 campaign will mark his last season of a 20-year career. “He’s indicated to me this is it,” Lakers general manager Mitch Kupchak said Thursday on on “SiriusXM NBA Radio” with Rick Fox and Jared Greenberg. Kupchak has strongly suggested this sentiment throughout the 2014-15 season, mindful that Bryant’s contract that will pay him a league-high $25 million next season will mark the final year of his contract. But after tearing the rotator cuff in his right shoulder in late January, Bryant soon admitted the possibility he would not know his future until the end of the 2015-16 campaign. That thought process somewhat differs from last summer. Then, Bryant told some around him that he had no intentions in playing past his current contract, according to a source familiar with the comversation.